Improve the health and wellbeing of women. Support women through education and training about important health, hygiene and reproductive issues. Empower women to become health activists in their communities, sharing what they’ve learnt with others and creating change. TEAR’s partner Oasis in Mozambique is working alongside the local church to improve the health and wellbeing of women in the Manga Loforte area of the port city Beira. 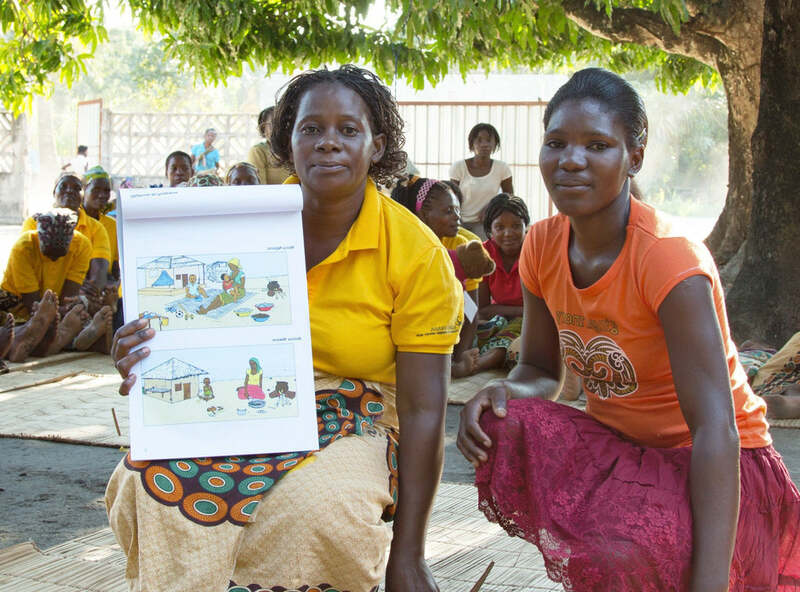 “Care groups” of local women are learning about important health and hygiene messages. They’re becoming health activists in their communities, sharing what they’ve learnt with others and sparking change. Marquina and the other women learned simple steps to improve health, including washing hands after carrying coal to the stove. She now works with pregnant women to monitor the pregnancy until delivery, and support new mothers with young babies. Your gift of Women’s Health is contributing to projects like this one and making a difference in the lives of those facing poverty and marginalisation. Oasis Mozambique’s mission is that all people have the opportunity to experience wholeness and fullness of life. They work in partnership with local churches, helping them to see, understand and respond to the poverty issues around them. TEAR supports Oasis’s Manga Loforte Community Health Project which is seeking to improve the health and nutrition of the community and helping women improve their livelihood options and participation in their community. Improve the health and wellbeing of women. Support women through education and training about important health, hygiene and reproductive issues. Empower women to become health activists in their communities, sharing what they’ve learnt with others and creating change. | More information.